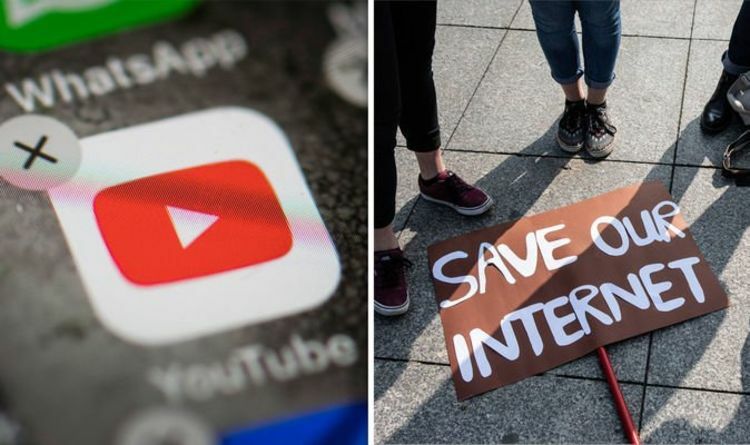 Article 13: Can you stream online? MEPs have seismically shifted online content sharing by passing EU laws that make technology giants more accountable for copyright infringement. The EU Copyright Directive was backed by 348 MEPs, with 274 against it and 36 others abstaining from the vote. The divisive legislation has split industry bosses, creatives and politicians, especially over clause Article 13. This is the section of the law stating tech companies could be held responsible if users upload copyright-protected music and videos on their platforms. Consequently, companies such as YouTube and Facebook must license copyright-protected material from the rightful owner before using it. Many content makers, such as musicians Sir Paul McCartney and Debbie Harry, back the move. However, tech giants say the changes could impact on freedom of expression online. Julia Reda, a German MEP and vocal opponent of the move, described the decision as a “dark day for internet freedom”. What you can and cannot stream online will depend heavily on the type of content you are planning to access and where you do it. Streaming is listening or accessing data being shared over a computer network. At the moment, many gamers can stream and share videos of whatever they’re playing on their consoles or PCs – but this could all change depending on how games companies react to Article 13. Linklater lawyer Kathy Berry told the BBC things could get particularly complex as “multiple copyrights can exist in a single product”. She explained: “Video game studios own various copyrights in their games: the underlying code, the graphics, music, dialogue. “When a gamer creates a video game video for YouTube, the video itself is a new copyright work owned by the gamer. Games streaming platform Twitch has already indicated it may have to impose filters, therefore limiting what they can stream and what viewers can see. Article 13 is expected to impact on illegal piracy websites that allow people to stream online. This is because Article 13 puts liability for breaches of copyright on a site hosting the infringing content. Sites may now have to include upload filters to detected copyrighted content or risk paying a large fine if they are made liable for damages. YouTube already has software which can detect copyright-protected music and videos, blocking them. In a statement, a Google spokesperson told the Guardian: “The EU copyright directive is improved but will still lead to legal uncertainty and will hurt Europe’s creative and digital economies. Car insurance ‘green card’: What is it and will you need one to drive in EU post-Brexit? Jurassic World 2 Fallen Kingdom: Did Sam Neill cameo as Alan Grant?